The advent of the audio book happened over 35 years ago in the early 1970’s. Initially the most common place where you found the books was at the public library. Usually you could listen to the book only at the library where they had the necessary tape playing equipment. At the beginning these recordings were often of only average quality but within a few years, due to the growing popularity, many publishers began to produce much higher quality audio books. As most public and municipal libraries had only modest resources to buy these audio books their catalog of available titles were initially quite small. To satisfy the public’s growing appetite for audio books, a large number of rental groups began to spring up everywhere offering a much wider range of titles. Audio book rentals are akin to book clubs, but they are able to offer customers unlimited access to literally thousands of different audio books. 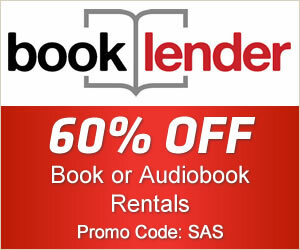 Customers are offered the option of having their audio book rental on either a CD or tape. They can then select from a range of services where the hire rates can vary depending on the duration of the rental or by way the rented audio books are returned, for example by post or in person. Most people are already familiar with rental services, originally for videos and more so with DVDs these days. There are some quite interesting groups offering book rentals, one in particular has a fairly unique way in which it makes its service very user friendly. This company specializes in distributing its audio books to customers via travel centers located on most major American highways. Among its loyal customer base are truck drivers, sales persons as well as frequent travelers. Their concept is very clever as it allows you to rent the book at one place and return it at another travel center elsewhere in the country. For example, you could effectively rent a Stephen King novel in New York to listen to on your car CD player for the long drive to California and when you finish you just pop it into the nearest travel center. This type of rental service is particularly useful if you do not have access to the internet and cannot download the audio book you are interested in. Additionally audio book rentals can still be taken out in the old cassette format, something else you cannot get from a computer download. One criticism of audio book rentals, however, is that some customers are unable to finish listening to the books that they have rented before they are due for return, unlike downloads which you can listen to at your leisure. Sometimes with rentals there is also the problem of having to wait for copies of particularly popular books as not all rental agencies have the resources to stock multiple copies of certain titles. So if you are about to embark on a long journey why not pop down to your local travel center and check out their audio book rentals and when you have finished listening to it just drop it off at your destination.